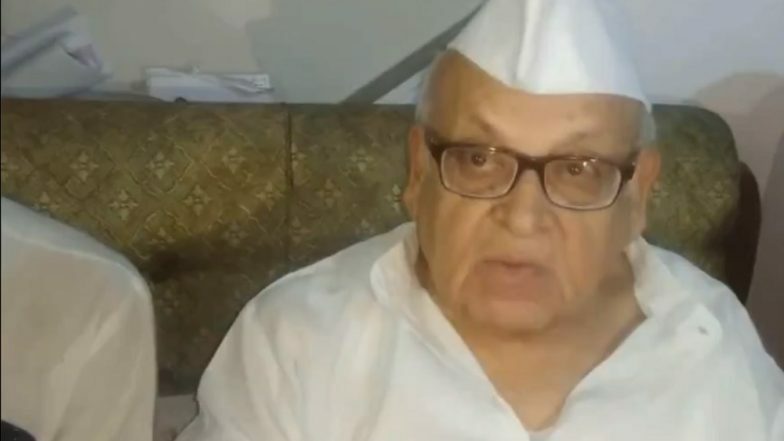 Bhopal, April 15: Former Governor of Mizoram and Congress leader, Aziz Qureshi, stoked a controversy with his claim that Prime Minister Narendra Modi was behind the February 14 Pulwama terror attack. Asking how an explosive-laden vehicle was allowed to enter Jammu and Kashmir, Aziz Qureshi said that PM Modi was using soldiers' ashes for political gains during the Lok Sabha elections. "The terror attack in Pulwama is a pre-planned conspiracy by Prime Minister Narendra Modi, but people know the truth. If he wants political gains by using soldiers' ashes, people won't let it happen" Qureshi said on Sunday. Qureshi, who had a running feud with the Centre and even approached the Supreme Court against attempts to ease him out, was removed from the post of Governor of Mizoram in March 2015. Modi Govt Should Stop Pretending to Be Indian Army: Akhilesh Yadav on Pulwama Debate. Qureshi also took a dig at the Bharatiya Janata Party (BJP) for failing to name its candidate against senior Congress leader Digvijaya Singh from Bhopal Lok Sabha seat. He remarked that the BJP leaders are afraid of losing against Singh and this is the reason why the party is finding it tough to field its candidate from Bhopal parliamentary constituency. Qureshi, who had been Governor of Uttarakhand as well, also claimed that Congress will win more than 20 out of 27 seats in Madhya Pradesh. Accusing the BJP MPs and MLAs of shutting down the factories in Madhya Pradesh, the Congress leader said that the BJP has no right to seek votes from people in the state.